There are numerous possible applications for redundant manipulators. Since current industrial robots have a maximum of 6 degrees of freedom, their capability of using work space is rather limited. This could be enhanced by means of extra DOF of redundant manipulators. Besides, countless applications in space and any place where maintenance, repair inspection are very difficult benefit the dexterity that redundant manipulators offers. However, there are a number of problems to be solved with redundant manipulators from kinematic control to mechanical design. Satisfactory solutions have not been obtained for path planning and obstacle avoidance problems specifically for redundant manipulators. 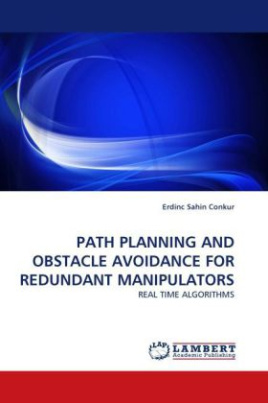 The algorithms presented in this book offer solutions that enhance path planning and obstacle avoidance capabilities of redundant manipulators.